I’ve always loved Italy and the Italians. I love the sun drenched land, the warmth of the people, the delicious food. For the last few weeks I’ve been touring the south of Italy with a small group of ladies. By south I mean the part of Italy starting at Naples and extending down towards the toe of Italy. This is the region of Campania and home to the beautiful countryside around the Gulf of Salerno and the rugged Cilento National Park. I’ve always regarded myself as a Northern Italian girl, I love the architecture, history and culture of the north. I adore Venice and it’s magnificent palaces and polished marble stone, the water lapping against the black hulls of the gondolas. However, I have to say there is something very special about ‘the south’, something very special indeed. In fact the Ancient Greeks agreed with me – they created a fortress city on the rocky coastline, at the southern end of the Gulf of Salerno in the 6th century BC. That’s 600 years before the birth of Christ. The Greek city was called Poseidonia in honour of Poseidon, Greek god of the sea. In the days before the Roman Empire the Greeks controlled the whole of Southern Italy. Poseidonia was in a superb strategic location and an ideal place for a port. Goods and soldiers would have moved by sea between Athens and the Greek islands and Poseidonia. Nearby on the flat land adjacent to the coast the Greeks built the incredible temples of Paestum. A site of worship, where they could honour their gods. Ever since I was a little girl I’ve wanted to visit these temples. They have fascinated me for decades – brilliantly preserved, symmetrical, elegant. They are strikingly similar to the Parthenon in Athens. What is even more interesting is that, in the days of the Grand Tourists, the early tourists travelling in Italy, visitors were convinced that the temples had been built by the Romans. It never occurred to the early tourists that the Greeks had ruled over Southern Italy – which at that time was part of Magna Graecia. The Greek temple site at Paestum is quite exceptional. 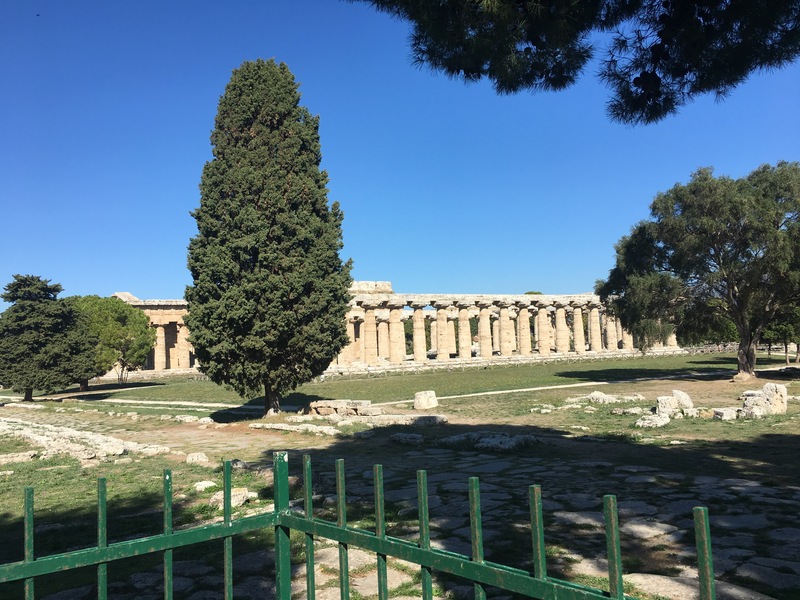 On a flat grassy plain just about a mile inland from the sea there are three Greek temples that are older than the Parthenon in Athens. These temples were built around 450 BC and have remained standing for about 2500 years. The temples are surrounded by a wall that stretches for 3 miles around the site. Much of the wall remains in tact. There are even a couple of watchtowers still existing. The temples rise from a lush green plain with trees offering shade. The approach to ‘i scavi di Paestum’ is a tree-lined road with souvenir shops, cafes and little bars. Our guide Silvia is a local, she lives in the hills to the east of the site, close to the small town of Capaccio. The first stop is the Museum of Paestum which was built in the 1950s. The Museum explains the history of the site and houses fragments of frieze decorations from the temples. There is also a spectacular collection of pottery and offerings to the gods. The temples would have been painted in white, black and red. This paint has been eroded and washed away by rain and wind over the centuries. 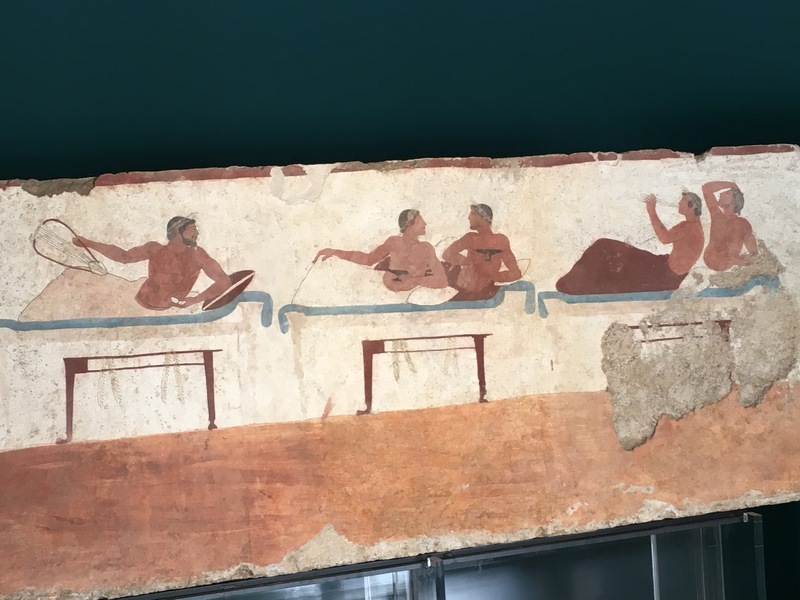 Perhaps the most impressive collection in the museum of Paestum is the enormous number of tomb paintings found here, the oldest of which dates back to around 500 BC. These tombs were built for important men – usually military or political people. The tombs were sited outside the walls of the city, creating a necropolis (a city of the dead). Hundreds of painted tombs have been found at Paestum. 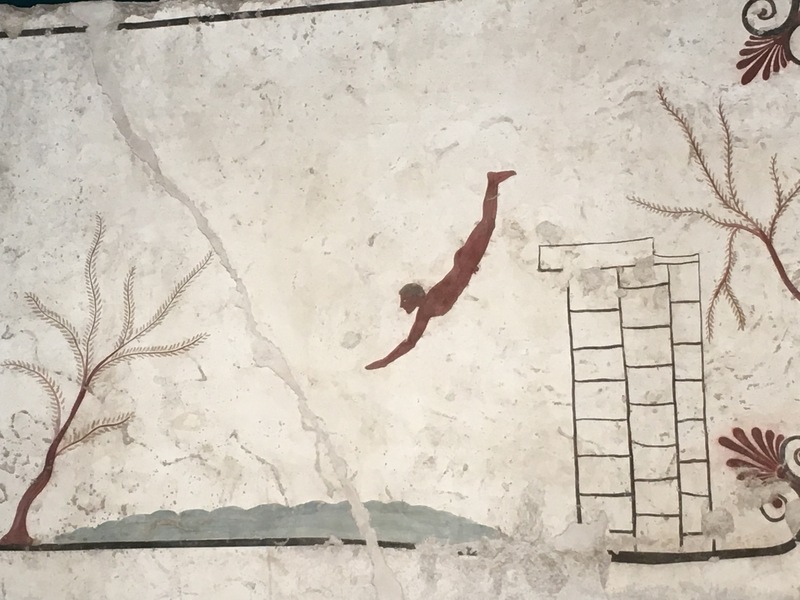 One of the most famous of these is ‘The Diver’ a painting depicting a man diving into water, in fact it is almost certainly depicting the transition from the world of the living to the world of the dead and entry into the ‘underworld’. For the Greeks Paestum was a very sacred place, a centre of worship and a necropolis, a place to bury the dead. Literally hundreds of painted tombs have been discovered here, many beautifully preserved. The oldest date from around 500 BC and are truly magnificent. The extent of the decoration, use of colour and creative design on the tombs is exceptional. It is the largest collection of Greek tomb paintings in Italy. As we stroll along the Roman road that was built later to link the temples. The road takes us from one rectangular temple arrangement to the next. The details of the columns, pediments, interiors are pointed out to us by our guide. These temples would have been painted in red, black and white. It is easy to imagine these magnificent temples dominating the horizon as sailors approached the Italian coastline. The Romans also built an amphitheatre, houses, shops and workshops at Paestum. These remains are just to the west of the temples. Even though it’s a beautiful sunny day we are the only visitors at the farthest temple. I make a decision to exit the park at the south end where the Ristorante Nettuno has been refreshing travellers for generations. Nettuno is a typical traditional Italian ristorante. 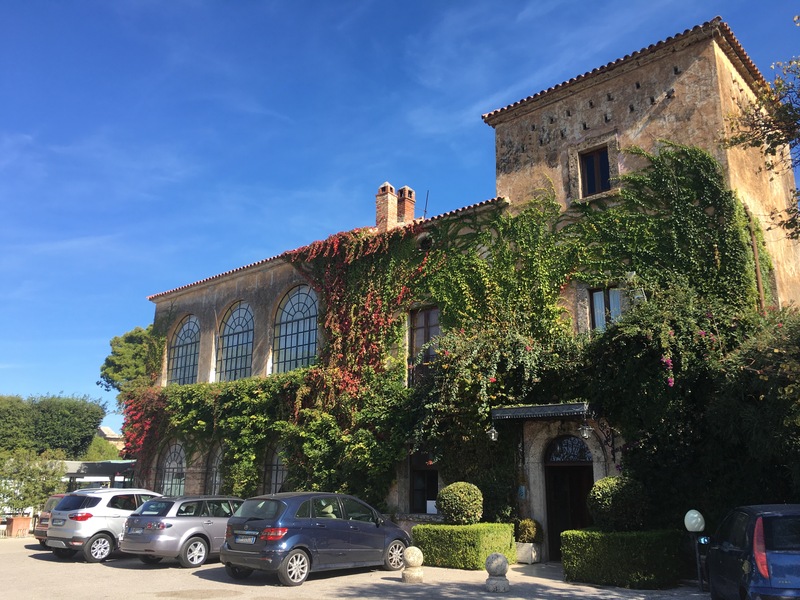 A beautiful building with a shady terrace. The view of the temples is breath-taking. The waiters have all been here for years. We sit in the shade enjoying ‘un pranzo leggero’ – a light lunch and the superb view of the temples. We sit in this beautiful green, cool setting. Chatting about Italy. A train trundles along the train track that runs north to Salerno and Naples and south to Agripoli and Cilento. There is one train running per hour in each direction, grass is growing on both sides of the track. Probably nothing has changed here for generations. There’s a great line in the comedy film ‘Benvenuti al Sud’ where the narrator says….. ‘’Un forestiero quando viene a Napoli piange due volte, quando viene e quando parte….’’ This means that when a stranger comes to the south they cry twice, once when they arrive and once when they have to leave. This perfectly sums up the feelings that I have for ‘the south’. I think perhaps the Greeks felt the same. The Greek god of the seas was Poseidon. The coastal town of Poseidonia was named in his honour by the Greeks. Several hundred years later, many of the Greek gods became ‘romanised’ and Poseidon became the Roman god Neptune (Nettuno). The Greek Temples at Paestum are very similar in style and age to the temples at Agrigento in Sicily. Both sites are beautifully preserved and thoroughly impressive. Our fabulous guide at Paestum was Silvia Braggio. Silvia is recommended by Rick Steves as an expert local guide in Paestum and Pompeii and Herculaneum. The Grand Tourists loved Naples and the historic sites nearby. Many returned with souvenir paintings of the area. Here’s an example of the temples at Paestum. Painted by Pietro Fabris, around about 1750. 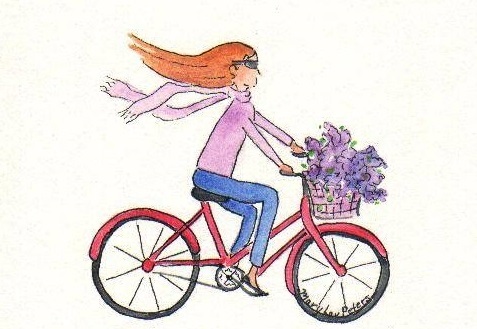 Please feel free to browse my blog for numerous fascinating articles on Italy! And this American traveler feels the same. 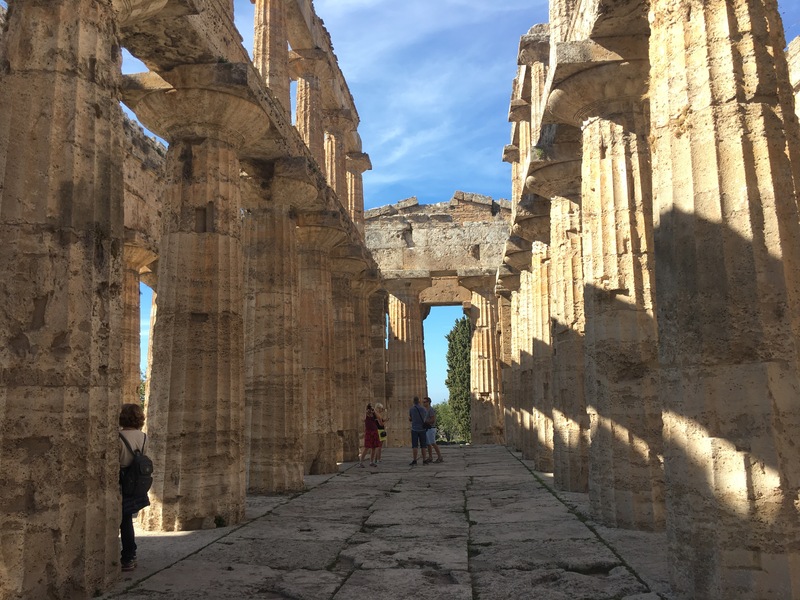 Thank you for a wonderful tour of the temples and tombs of Paestum, Janet, both on your blog and in person. Thank you for sharing what will hopefully remain a relatively unknown part of Italy. I say that since so many other places seem to be overwhelmed with tour groups. At Paestum one can easily find a quiet spot to allow your imagination to run wild and wonder what it may have been like so many eons ago. 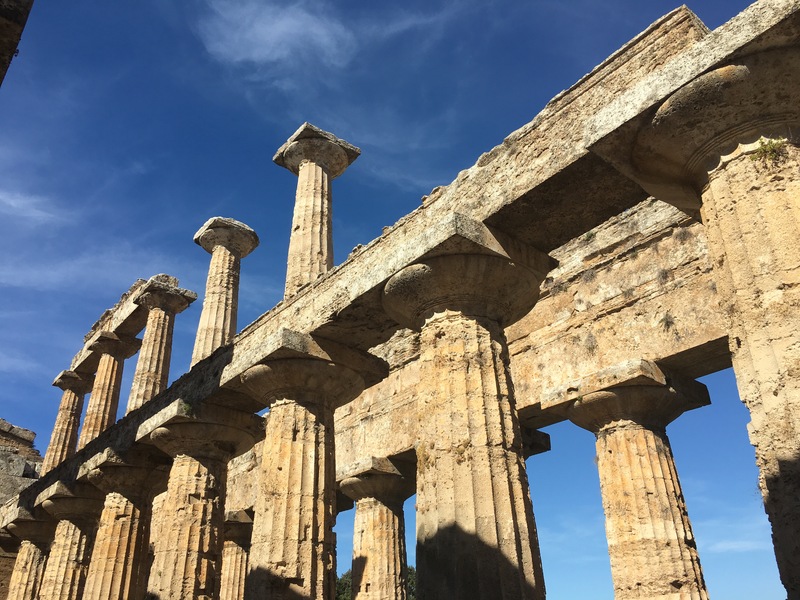 My grandfather was from the town of Agropoli, just south of Paestum and as children he and his brothers would play amongst the temples at Paestum. Cows would graze amonst the ruins and the grass was always overgrown I recall him telling me. 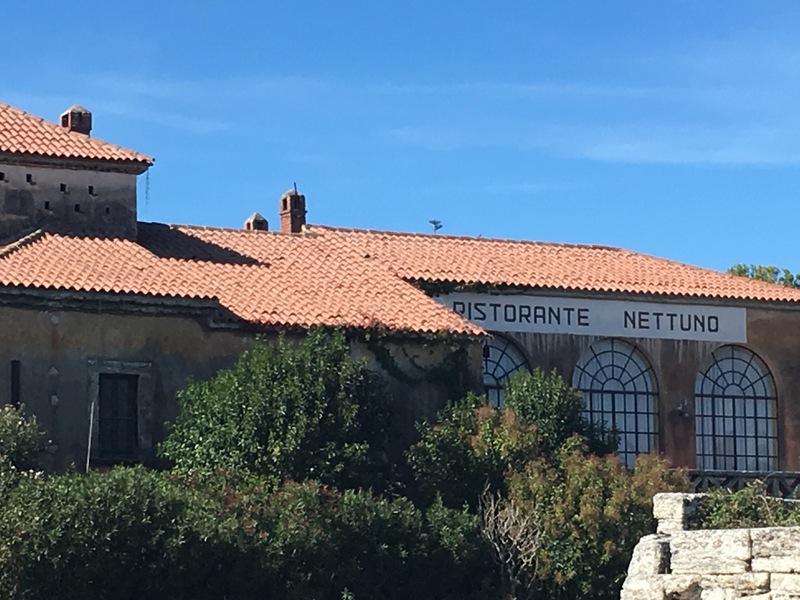 The Ristorante Nettuno also brings back memories as my wife and I celebrated her birthday there many years ago and to this day I recall that meal with delight. Nettuno is an all time favourite of mine! 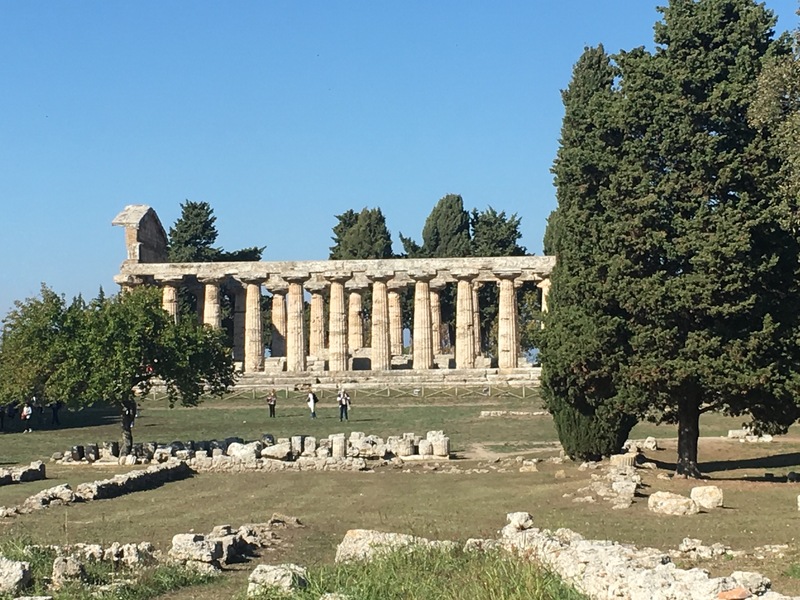 Thank you for your lovely article on Paestum. Hopefully, this area and specifically this archeological treasure will remain undiscovered, since so many other places in Italy are overrun with tourist and tour groups. My grandfather came from the village just south of Paestum, Agropoli. As a child, he and his brothers used to play amongst the ruins which were overgrown and cattle grazed in the fields. Ristorante Nettuno also brings back many memories as my wife, mother and I celebrated my wife’s birthday back in the early 80’s at this wonderful ristorante. Even today I can still recall the wonderful meal we had. Ristorante Nettuno is still wonderful – really an institution! That’s great to hear. My wife and I will be spending 2 months in Lucca this winter, January and February then another month somewhere in Italy but not sure yet where. We are seeking a place to call home and need to visit some area we have not visited in the past. We enjoy your posts…. Have you considered Asolo – Veneto – charming small town – one hour north of Venice? It is wonderful! Thank you for that suggestion. We will definitely put Asolo on our itinerary, as Trentino, the Veneto and Emilia Romagna are three areas I have visited the least. I am an expert on the Veneto – the Roman mosaics at Aquileia and the Palladian Villas of the Veneto are an absolute must!